2. Know the property value Location, market, age, condition, improvement and neighborhood are all elements of property value. Consider all of these things when looking into a new home and new location. While you may not need to consider condition, age and improvement with new houses, location and neighborhood are primary elements of the home buying decision. Maybe you’re relocating for a new job. Do you want to be walking distance? A short drive? Is there a neighborhood you want to live in that has a train station? Take all of these into account. Often people wait until their moving date is near before contacting a moving company. Stay organized and do this ahead of time and check one more thing off of your ‘to do’ list! Much like considering property value in #2, community is a vital asset to choosing a new home. Many new home communities have a diverse set of niche neighborhoods. In addition to researching floor plans, research the differences between these neighborhoods. Family dynamic might play a role in your decision; whether or not the neighborhood is composed of young families or retired couples. Researching the community will give you more information about school districts, local amenities, and what you can expect from the atmosphere of the community. Packing can be one of the most brutal parts of relocating. Once you’ve purchased a home, create a packing plan with a solid timeline before the big moving day. Begin by packing things that you know you won’t use or don’t need anytime soon and follow this by making deadlines for packing certain things. For example, you may include that you will pack all of your kitchenware by the second week of September. This keeps you accountable, ensures you’ll pack everything, and helps you stay less overwhelmed. Whether you’re in an urban or suburban setting, knowing the local transportation systems can be crucial to making the most of your new area. If you’re commuting to work, see if driving or taking the train is the most efficient. 7. Research fun things In the midst of the move, research the fun things offered in your new community. Look up cool places to eat, fun entertainment, trendy shops, organizations to join and other activities that you can do in your downtime. There may be some exciting new finds! Stay excited for this new chapter and get involved in your community! Lake Carolina Properties offers a number of great communities, including Shaw afb housing. Enjoy the breathtaking city of Columbia in new homes near the lake, surrounded by natural beauty. Voted one of the best cities in the U.S., Charleston is the oldest and second largest city in the state. This historic metropolis is known for its diverse arts and culture, from jazz bars to live art. In addition to art, Charleston’s tasty cuisine is sure to make a visit worthwhile! Myrtle Beach One of South Carolina’s most popular vacation destinations, Myrtle Beach brings in tons of S.C. natives and tourists each year. Embrace your inner-tourist and enjoy the boardwalk of shops, delicious food, amusement parks, water parks and beach activities. Hilton Head Island If you’re looking to take an in-state trip during warmer months, Hilton Head Island is another great vacation destination. The island’s natural beauty and picturesque atmosphere makes this a hot pick for those who love the great outdoors. Golfing, canoeing, boating and fishing are popular activities. North Charleston As the state’s largest major industrial center and the third largest city, North Charleston is home to numerous military historical sites and museums. Hockey-lovers can enjoy a South Carolina Stingray’s game, while movie-buffs can catch indie flicks at Park Circle Film Society. North Charleston also includes a metro downtown area for shopping, eating, and shows. South Carolina’s fastest growing city has a setlist of annual festivals that bring in hundreds of visitors. Along with hiking trails, an art museum, and a science center, Greenville encompasses a beautiful natural landscape with plenty of entertainment. Interested in relocating to South Carolina? Check out homes for sale in Columbia, SC with Lake Carolina Properties. Lake Carolina Properties specializes in master planned communities. With amenities that go above and beyond those found in apartment complexes or subdivisions, these communities are just that...a community perfectly suited for beginning the next chapter of your life. Located in the beautiful city of Columbia, these homes encompass gorgeous locale, chic, modern structures and neighborhoods that will quickly make you feel at home. One of the biggest benefits of living in one of these neighborhoods is the wide range of exciting community events that are put on each month. From storytime for kids to drive-in movies, to holiday festivities and a wine and food festival, there really is something for everyone in the family to enjoy. Lake Carolina Properties hasn’t fallen short on keeping the activities coming; a calendar of these events can be found HERE. When you’re enjoying downtime, the community amenities are well worth the experience of living in one of these homes. There are over ten miles of biking trails and multiple parks and pools that keep residents active during the warmer months. The property plays host to a quaint downtown with plenty to do for fun (when you’re not utilizing the amenities and community socials)! Golf courses, unique boutiques, local shops, and restaurants line the town center, making these properties a prime location for the best quality of living. They also reside near a set of good schools. These diverse homesites offer an extensive choice of residencies surrounded by woodland nature or a lakeside view. Choose from quaint homes or elegant manor estates and enjoy being surrounded by greenery, rolling hills, or the calming sound of waves and sand. These neighborhoods can also provide specific niche preferences, such as the partnership that Lake Carolina properties has with military families transferred to Fort Jackson or Shaw Air Force Base. Click HERE to explore Shaw or Fort Jackson housing options. The town center is the perfect place for the ambitious entrepreneur to bring their local business to the heart of a bustling community. Homes deemed, “LifeWork” homes allow business owners to live just above their shop or restaurant. Not only is this convenient but a prime business opportunity. 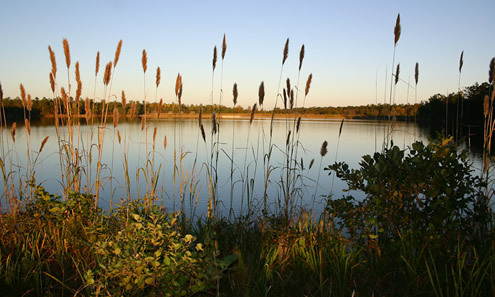 For more information on the extensive benefits of gorgeous Lake Carolina Properties, click HERE.